This website is financed, constructed and maintained by Clarborough & Welham IT Group having initially received a small grant from Clarborough & Welham Parish Council to kick-start the process in November, 2010. Clarborough & Welham IT Group has been providing accessible classes in all aspects of ‘computing’ for more than 10 years. For much more information have a look at their IT Group page which also links to their own dedicated website. Nottinghamshire’s superfast broadband strategy - first Newsletter (April 2013). See sub-pages to this one that deal with Latest ICT News, Hints & Tips, Security Tips and Website design. You will see from the header of this page that the software suite we use to construct and maintain our site is NetObjects Fusion Essentials, a free package that meets all of our design needs and also provides FTP (file transfer protocol) connection to our server. 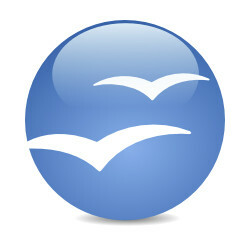 OpenOffice.org - a full office suite including word processor, spreadsheet, presentation, database and drawing applications that is compatible with Microsoft Office. We use OpenOffice to produce our sister publication, Clarborough & Welham Newsletter. for links to download these free packages, go to Clarborough & Welham IT Group’s dedicated website where links are provided to the appropriate websites for these packages. Click here for a direct link.